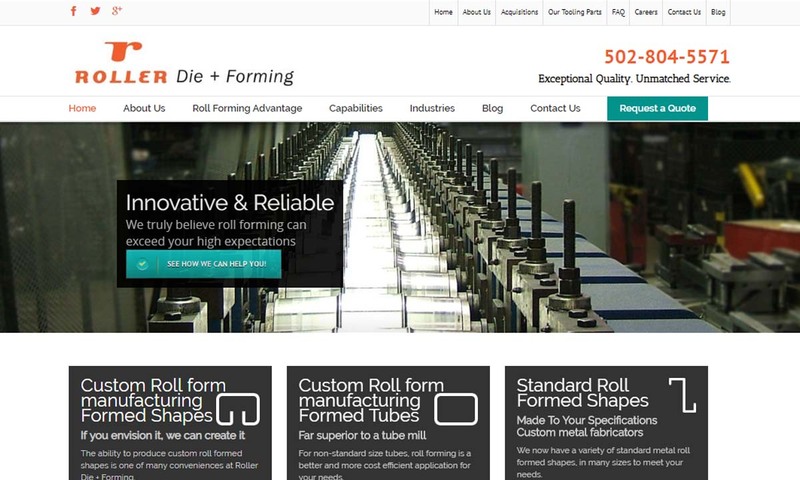 A reliable source for Roll Formed Parts information and a resource for accessing leading Roll Formed Parts and suppliers. 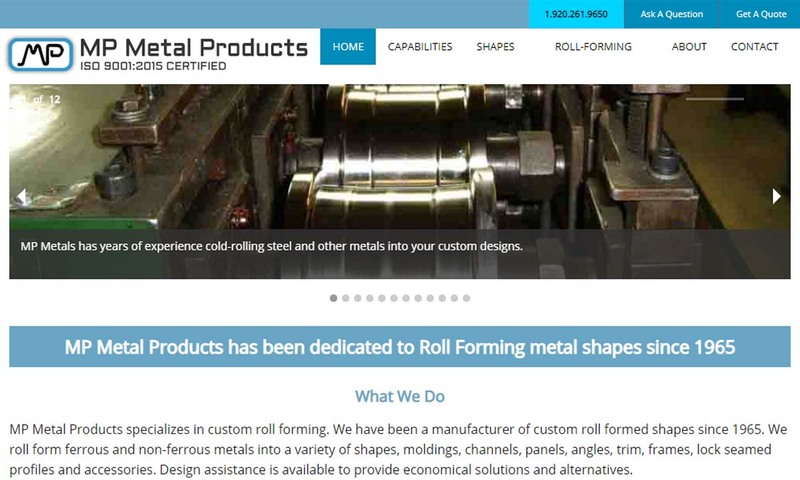 Rolled formed parts are metal products shaped by a series of rollers, during the process known as roll forming. Roll forming is popular for the production of products in a wide range of industries, including: building construction and architecture, carpentry, commercial automotive and home improvement. Roll Formed Parts Rolled formed parts are metal products shaped by a series of rollers, during the process known as roll forming. Our roll forming is among the best in the world. Located in Chicago, Illinois we are able to provide products to the world. We have technicians that are able to work with you in order to come up with the product that you have been searching for. 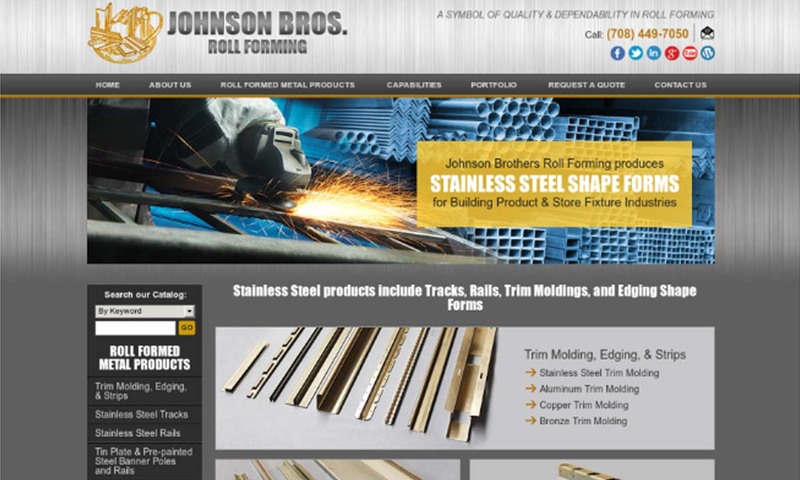 Johnson Bros. is a leading manufacturer when it comes to roll forming metals, pre-finished and plain. Such as profiles, U-Channels, C-Channels, J-Channels, Hat Channels, Box Channels, Zee Channels, Strut Channels, moldings, and more. 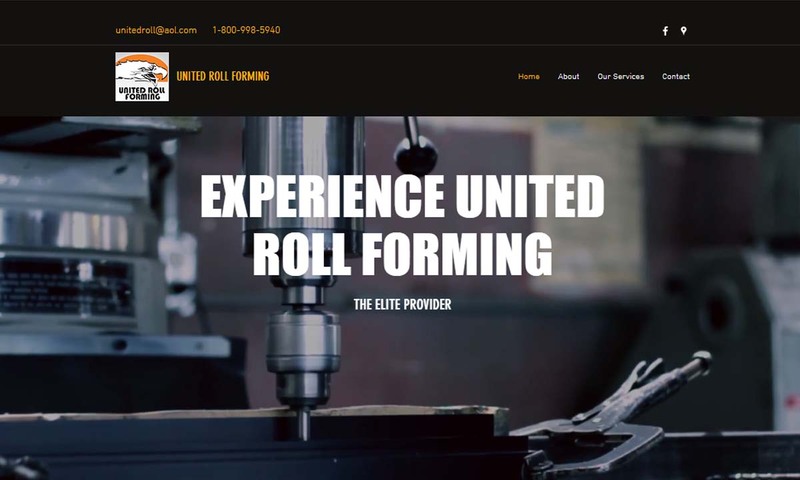 With over 50 years of experience, United Roll Forming specializes in roll forming for a variety of industries. Our products are the result of state-of-the-art machines that provide both quality and efficiency. Producing five different standard products, as well as complicated roll forming sections and secondary operations such as notching, punching and fabricating, is Roller Die & Forming Company, Inc.
ISO 9001:2008 certified manufacturer specializing in custom roll forming. Unique profiles are run in gauges from 0.005" to 0.165" and widths up to 48" on 35 lines. Adding in-line operations may enhance your product. 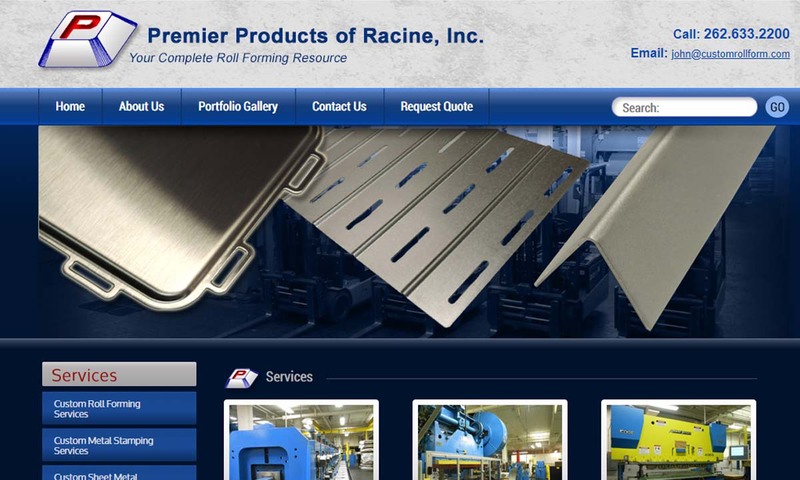 Premier Products of Racine is a full-service company established in 1999 that provides custom roll formed products for applications such as outdoor appliances, tanker trucks, and office furniture. Examples of common roll formed products include: angle irons, aluminum angles, steel angles, metal channels, metal trim, metal wall panels and metal rings. Roll formed products may also be custom made for specialty applications, like bus industry seat tracks. In carpentry and building construction, angles are designed to provide support in two directions, and frequently feature slots or holes for connecting parts. Similarly, in these industries metal channels act as a support system to rails and frames. They’re also used to make products in consumer, industrial and commercial industries. Metal trim fits around the edges of a part or product. In the industrial and commercial worlds, roll formed metal wall panels can protect factory walls from sparks and debris, or they can alter the appearance of office building walls. Metal rings, which are simply circular parts, serve many purposes, such as shielding elevator buttons, embellishing telephone buttons, adorning clothing, ensuring street signs stay upright, securing lock hardware in doors and preventing hoses from disconnecting. Though Da Vinci sketched the idea for rolling machinery, it was not produced during his lifetime. Instead, the first rolling former, the slitting mill, was introduced to England about 70 years after his death, in 1590. To use the machinery, workers fed flat bars of iron through a set of rolls, forming a plate, then through a set of grooved rolls, forming slits. Later on, engineers modified the slitting mill, so that it could form roll hoops for barrels. In the late 1600s, interested parties began experimenting with rolling tin. In 1697, a British man named Major John Hanbury founded a mill for rolling “blackplate” (untinned iron or steel that has been annealed). Later, he switched he switched to “tinplate” (tin-coated steel). Then, in 1759, yet another British man, this one named Thomas Blockley, received a patent for the polishing and rolling of metals. Almost a decade later, in 1766, Richard Ford received a patent for the world’s first official tandem mill. Tandem mills work by rolling metal through successive stands; used for producing hot roll wire rods. The roll forming process as we know it today, was invented in the late 18th century, by a person named Henry Cort. In 1783, he received a patent for the practice of rolling iron bars with grooved rolls. While he was not the first ever to employ grooved rolls, he was the first ever to combine it with the various processes that he did. His new design allowed mill workers to produce, by the day, 15 times the amount they were able to before. He is now known by many as the “father of modern rolling”. Cort’s innovation marked a turn for roll forming. After it, many engineers and manufacturers came along to grow and alter the process to match their needs and the new technologies of the day. Thanks to technological advances, rolling mills quickly grew larger, as did products they produced. At The Great Exhibition of 1851, the Consett Iron Company showcased their capabilities with a display of a supersized plate, which weighed 1,125 pounds and measured 20 feet long by 3 ½ feet wide and was 7/16 inch thick. Just two years later, manufacturers began rolling heavy sections using “three high” mills. The big advances of the of 20th and 21st centuries have revolved largely around automation. Today, roll formed parts manufacturers use CNC technology to design roll forms on the computer before using that same technology to produce them. For this reason, modern roll forming is precise, intricate and repeatable, and the rolling and bending machine market is booming. Most metals, both ferrous and non-ferrous, can be roll formed. Among the most commonly roll formed metals are: brass, steel, zinc, aluminum, zirconium, titanium and tin. Brass, made up mostly of copper and zinc, is a metallic alloy best-known for its attractive gold-like shine. The many different types of brass exhibit varying degrees of its common properties, including: hardness, malleability, shine, corrosion resistance and microbial resistance. Steel is perhaps the most common metal for roll forming. There are many reasons for this, among them is the fact that it is: strong, durable, hypoallergenic, abrasion resistant and corrosion resistant. In addition, to accommodate the countless applications for which steel is required, workers mix a wide variety of steel forms and grades, among them, stainless steel, carbon steel and galvanized steel. Zinc is a naturally-occurring element that we rarely see on its own. That’s because this lustrous, blueish white metal is weak and brittle, though moderately conductive. To get the best results, manufacturers mix it with other elements in order to create useful alloys like brass and bronze. Aluminum is a nonferrous metal that has been in use since, at the latest, the fifth century. Its usefulness has stood the test of time thanks to its properties of: electrical conductivity, thermal conductivity, malleability, ductility, corrosion resistance, fire resistance, non-magnetism and good reflection. Zirconium metal comes from the mineral zircon. It highly corrosion resistant and enjoys niche applications such as: light filaments, surgical instruments and cladding for nuclear reactors. Titanium is metal to which manufacturers turn when they need to create heavy extreme duty roll formed parts. Titanium has an exceptionally high strength-to-weight ratio, as well as a high melting point, high ductility and low density. What’s more, it is freshwater and saltwater corrosion resistant, high temperature resistant, fatigue resistant and cracking resistant. Tin is an oft alloyed metal that has been used to create important alloys, like copper, for thousands of years. Naturally occurring, tin is soft, malleable, water corrosion resistant and easily shined. When it is alloyed with other metals, its susceptibility to acid and alkali corrosion diminishes. Roll forming is a cold forming process, meaning that it does not require heat to make metals pliable. Rather, force and compression shape the metal, and the compressive stress created by the rollers gives roll formed parts qualities of strength and durability. Step by step, the process is pretty simple. Let’s go over it. Before anything else, roll form service providers must pick out their material. They must order their material in the form of metal strip coil. They do so because coil is easy to feed to the machine. They deliver the stock or custom metal form into a first set of roller dies, which are designed to fit snugly around the formed metal contours. They may be horizontal, rotating or rolling. Usually, they feed the machine at room temperature. Doing so is known as cold roll forming. The roll form machine then forces the metal into a series of subsequent rollers, each holding a slightly different position. These different positions help gradually shape the metal into its new rolled form. The next step, cutting to length, is an optional one. 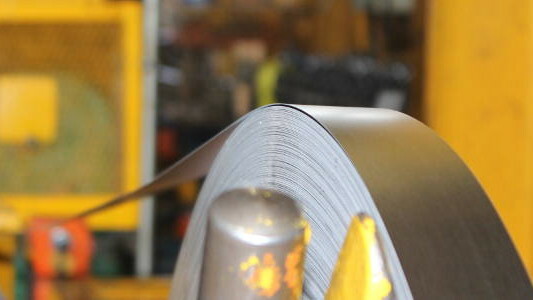 Most of the time, manufacturers use continuous metal rolls, which must be cut to size after the are rolled. This is known as post-cut rolling. This is the most efficient and consistent way of doing things. However, occasionally, manufacturers will cut the metal before they roll it (pre-cut rolling), and thus this step is skipped. 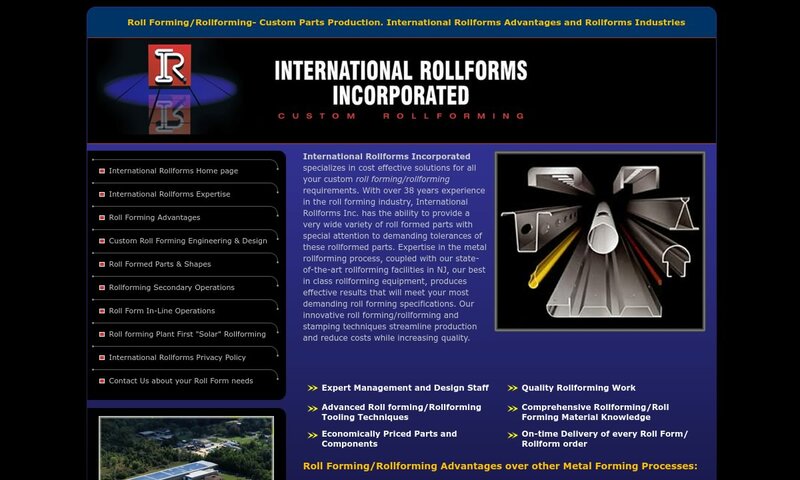 Manufacturers routinely create both stock roll form products and custom roll form products. When creating a shape, they consider details like: bend radius, diameter, size. sheet metal thickness and sheet metal material properties. Roll forming is modular process, meaning that roll formers can be configured and reconfigured to create all kinds of metal shapes. In addition, with the addition of punching equipment and other reduction elements, roll forming machines offer nearly endless possibilities. The one area in which they are limited is ring production; it cannot create sealed ring products because that requires secondary processing. Ring products must instead be welded, or connected with fasteners, in order to become sealed. The basic rolling machine consists of an entry section for metal insertion, a roller station for metal shaping, a cut off press for cutting to length, and an exit section. Many rolling machines additional elements and roll form tooling to make them more versatile. Examples include TIG welding technology, lasers, press brakes, punching tools and bending tools. Hydroform press forming, or hydroforming, is a forming process that presses room temperature material into a die, using high pressure hydraulic fluid. Inside the mold, the metal takes on its shape. When coupled with ductile metals, hydroforming can offer an inexpensive way to get lightweight, strong and structurally sound parts and products. Most often, this process is used in the automotive industry. Roll form parts are valued for many reasons, among them uniformity, accuracy and structural integrity. The roll form process additionally offers the benefits of cost-effectiveness, versatility and durable results. First, because it creates very little scrap and uses very little energy, making roll formed parts is very cost-effective and profitable. It has low tooling costs. Most roll formers can use nearly 94% of the material original fed into them. Also contributing to the cost-effective nature of roll forming, is its ability to continually produce parts and complete high-volume orders. In addition, the possibilities associated with rolled formed parts are broad and nearly endless; rollers can be coated with non-reactive powders or oils that will not affect surface properties. 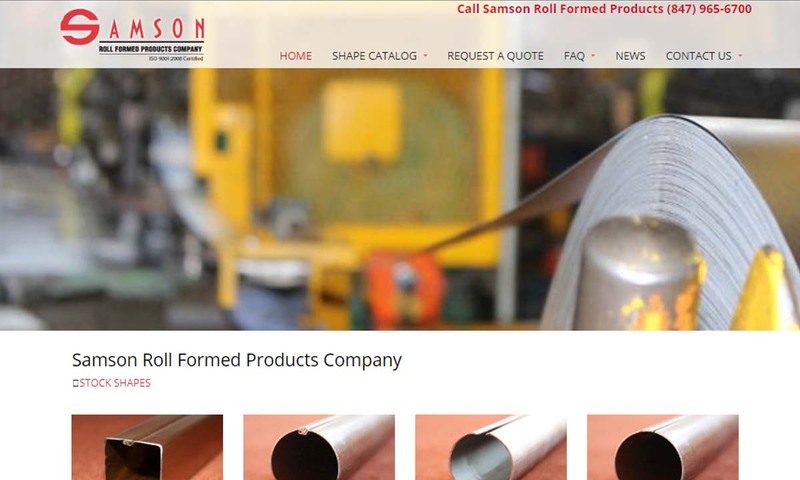 This means that roll formed parts can be successfully coated, polished, finished, cured and otherwise treated. Plus, because it’s a modular process, the roll formers can be continuously reconfigured for custom roll forming. Finally, no matter the exact nature of a roll formed part, a manufacturer or customer can be rest assured that thanks to the compressive stress that made it, it will prove itself to be strong and durable. To get the best quality product for the fairest price, you’ll want to work with an experienced and proven manufacturing company. To help you in your pursuit of that manufacturer, we’ve compiled a list of roll formed part suppliers and manufacturers. Those on our list are high quality suppliers. However, not every single one is going to be right for you. The right one for you is the one that will best meet your needs. So, how do you determine which one that is?  Start by browsing the companies on our list via their profiles and linked online sites. Get a feel for what they offer. To learn more about their customer service, check out resources like company reviews and client testimonials. As you search, make a mental note of three or four to whom you’d like to speak directly, then reach out to each of them to discuss your specifications, including turnaround times, customization, delivery options and standard certifications. Get a quote from each, and then compare those quotes, as well as the interactions you had. Choose from among them the company you feel has the most to offer, then call them again and get started.